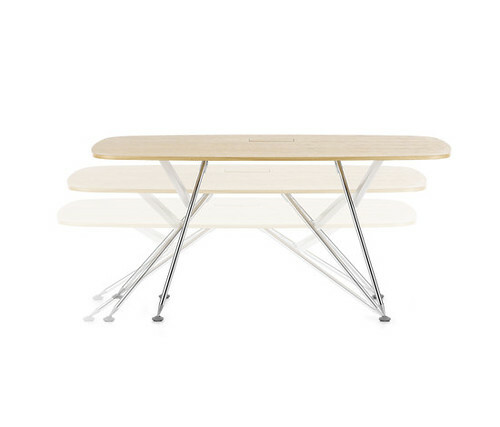 With the blossoming interest in standing height desks, I thought I would do a series of posts of desks available that readily adjust for standing height. 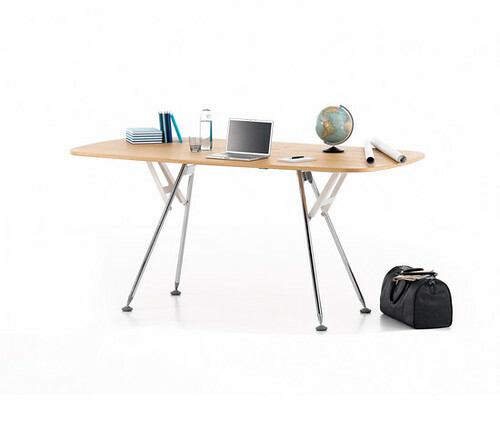 The ArchiMeda desk by Vitra includes a powered lift device that controls the work-surface height. It can be adjusted very rapidly from sitting height to standing height without disturbing your work in progress or your cabled accessories.